“Duck Dynasty” star Missy Robertson dropped by the Faithwire newsroom on Tuesday alongside her daughter, Mia, and other members of the Robertson family, to discuss their new kids book series as well as a score of other issues, including prayer and the solution to our nation’s deepest woes. Missy, who recently co-wrote the first two books in the “Princess in Camo” series alongside Mia, explained why the dismissals of prayer that we’ve seen in the wake of recent tragedies have deeply bothered her. 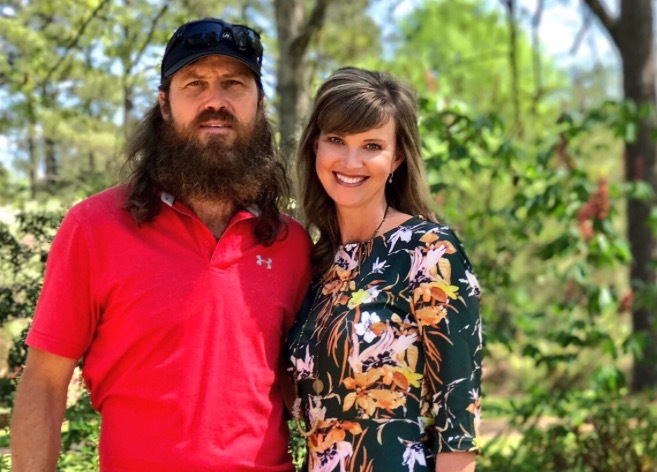 The Robertsons are known for their deep Christian faith, with Missy and her husband Jase Robertson frequently discussing how God has sustained them throughout their family’s journey dealing with Mia’s bilateral cleft lip and palate, a condition that has required surgeries — and plenty of prayer along the way. When asked about recent tragedies such as the shooting at Marjory Stoneman Douglas High School, Robertson said that she believes the answers to such woes go back to the human heart. Find out more about the “Princess in Camo” series here.